Carmen Sandiego (ECCC) Exclusive Long Sleeve T-Shirt! Question: Where in the World can you get this Carmen Sandiego Emerald City Comic Con (ECCC) Exclusive Long Sleeve T-Shirt? Emerald City Comic Con (ECCC) is March 14 through 17, 2019! 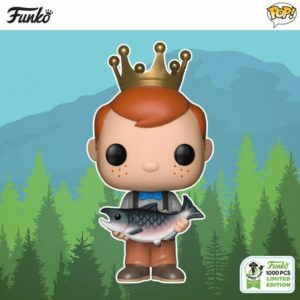 We recently Posted the Marvel ECCC 2019 and DC Comics ECCC 2019 Exclusives and now we’ve got the rest of the ECCC 2019 Funko Reveals all in one place for you to check out! Let’s get right into it with some Freddy Funko Exclusives and Spastik Plastik Fin DuChomp!